For horses in hard training, or with a history of "tying up"
Cavalor Muscle Liq is formulated to counteract the effects of strenuous exercise including muscle acidosis and dehydration. The combination of these two problems causes a poor recovery as clearance of waste products is slow, resulting in muscle stiffness. Give 50ml mixed into daily ration. This should be given for a couple of days before, and after strenuous exercise. Please note, this supplement is designed to increase water intake, please make sure ample water is provided at all times. 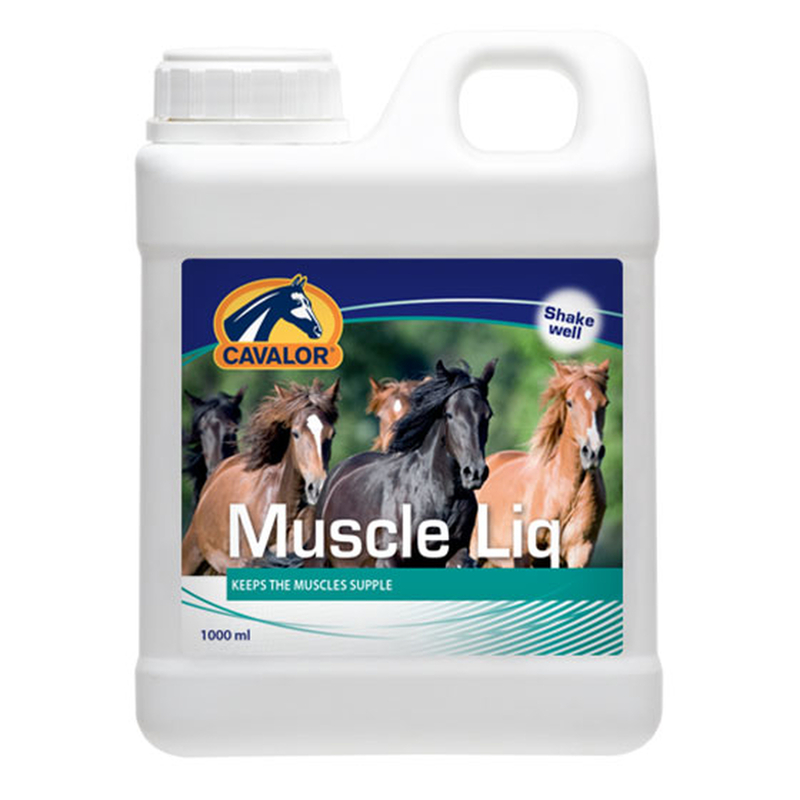 (For horses who suffer from severe muscle stiffness Cavalor recommend using Cavalor Muscle Fit).